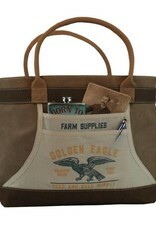 The "Golden Eagle" farm and seed supply apron on this tote bag make this a unique looking (and fun) bag. 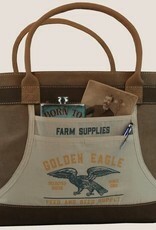 Plus, the extra pockets are handy as well! 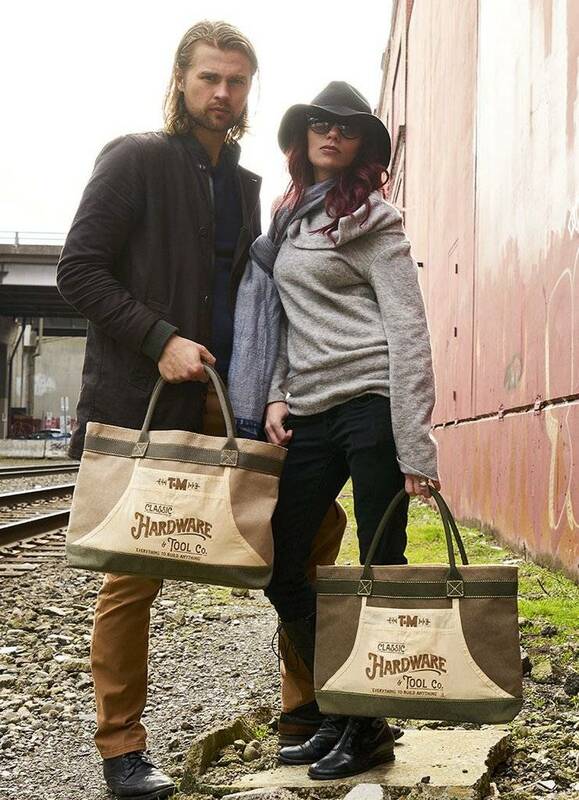 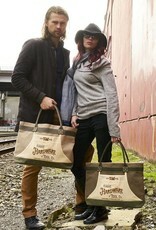 Who doesn't love a cool canvas tote? 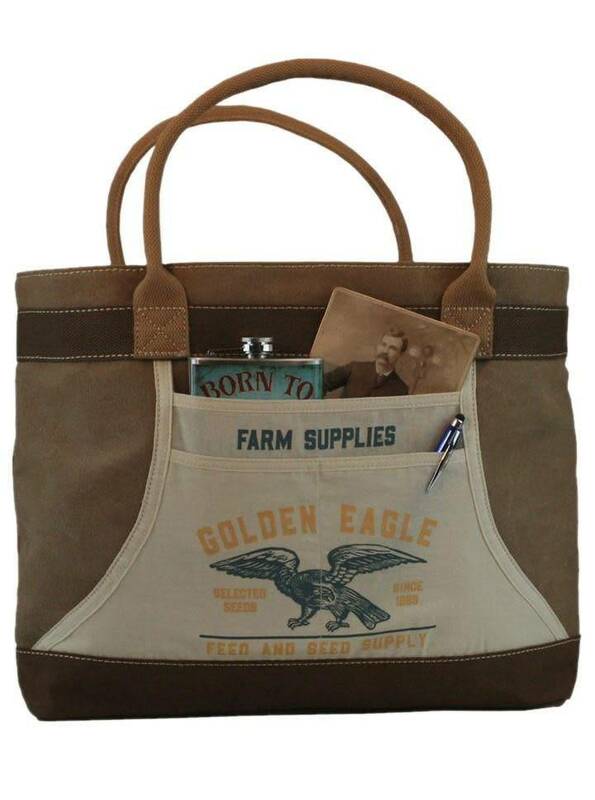 Our Apron Tote bag features a vintage style shop apron stitched onto the outside (creating extra pockets as well!). 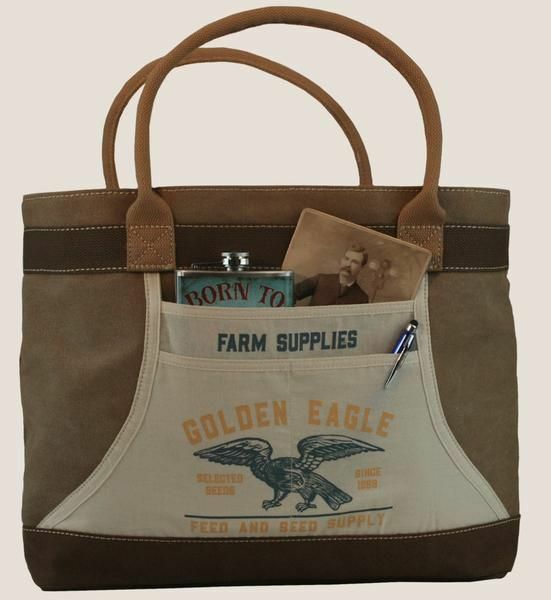 Fully lined with the same apron fabric, and featuring a "tool-loop" on the backside, this generously sized bag can hold everything you need during the day.